Kurt Busch loves the West Coast. He loves the desert, the dry, hot weather and the motor racing facilities in Las Vegas, Phoenix and Fontana, California. But, it’s time to look east, specifically toward Martinsville Speedway located in Southern Virginia, for Sunday’s Martinsville 500. And what a history Martinsville has considering it opened for business in 1947, two years before NASCAR came to be. Every series champion including Busch has competed at the track, which has hosted Monster Energy NASCAR Cup Series events twice a year since 1950. Martinsville is the shortest track on the NASCAR schedule and, viewed from the air, its looks like a paperclip as its long straightaways lead into tight, flat turns. The racing there can be described as “give-and-take,” with drivers giving some bumps and taking some bumps as dozens of cars constantly fight for space in its tight confines. So, no matter how good a driver’s car is, one does need a bit of luck to win at Martinsville. Several drivers have been leading late in the 500-lap race, only to be nudged out of the way in the closing laps. A good vehicle is needed, but also that stroke of luck. Should Busch win this weekend, he’ll once again score one of the most unique and coveted trophies in NASCAR – the Ridgeway Furniture Company’s grandfather clock that’s given to race winners at Martinsville Speedway. The tradition of giving the famous grandfather clock to the winner of every Monster Energy NASCAR Cup Series race at Martinsville got its start in 1964. Henry Clay Earles, who founded the short track, was inspired to use the grandfather clock as his trophy when Curtis Turner told him he had to start finding storage room for his trophies, and give some away, as well. It was then that NASCAR’s most iconic trophy was born. Busch, driver of the No. 41 Haas Automation/Monster Energy Ford Fusion for Stewart-Haas Racing (SHR), already has a pair of grandfather clocks for winning the fall Martinsville race in 2002 and the spring race in 2014 – the latter win for SHR. He also won the pole position for the fall race in 2006. 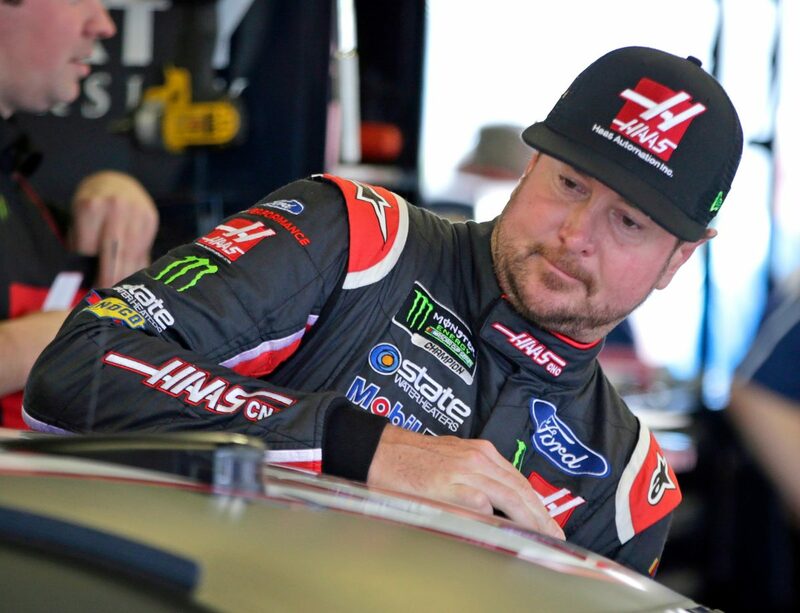 Busch knows he will have a good Haas Automation/Monster Energy Ford Fusion from crew chief Billy Scott this weekend. He’s also hoping for a stroke of luck, as well. What is the toughest part about racing at Martinsville? How much does pit strategy become a factor at Martinsville? How much more important is track position at a place like Martinsville?